Thanks for posting – now I can welcome you properly to the Crochet Along! 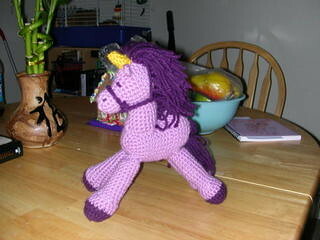 Your unicorn is very cute – I love the colours! Did the mane take a long time to make? do you have the pattern?? I love this!